Those who have been fortunate enough to have visited Salzburg, Austria have seen a piece of history they can never forget. This jigsaw puzzle depicts historic Salzburg, its buildings dating back centuries. In fact, its origin was in the 1300’s. 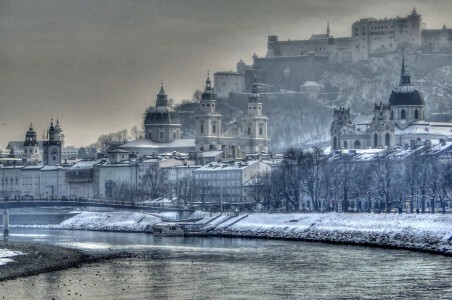 The main tourist attraction is that Salzburg is the home of Wolfgang Amadeus Mozart. Every year, Mozart festivals, parades and music draw crowds multiple times. Other sites of interest include Renaissance and Baroque homes, archiepiscopal palace,s and cathedrals over 200 years old. Credit: Special thanks to Dieter Meyer for making the photograph used for this jigsaw puzzle available through the Creative Commons Attribution ShareALike license. Visit Dieter Meyer's Flickr photostream. See all jigsaw puzzles based on Dieter Meyer's photographs.